Our eco-friendly products are backed up with certification and documentation. We offer Forest Stewardship Certified (FSC) products like wood frames and panels, and fast growing, sustainable materials like Bamboo. 100% recycled core EcoMats for our framed awards and more. 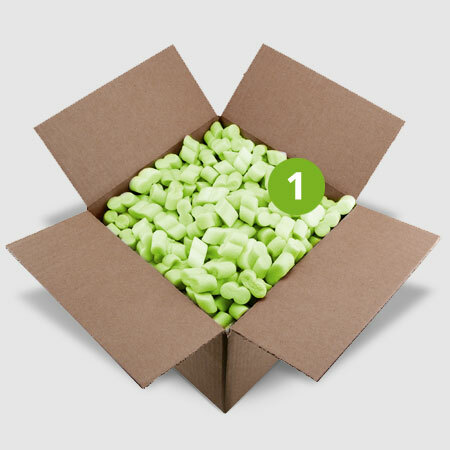 In shipping, we use recycled paper packaging and biodegradable packaging peanuts. Every little bit makes a difference to our environment. 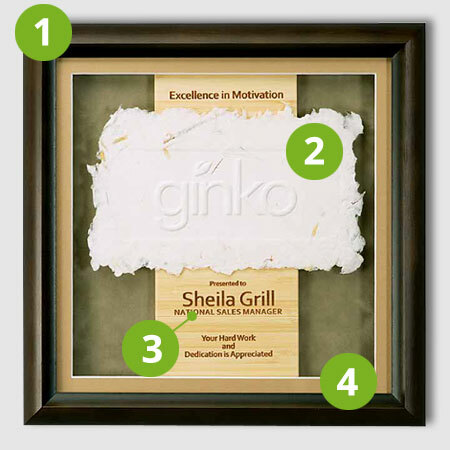 WINNINGEDGE offers a variety of picture frame mouldings that come from sustainable managed forests and meet numerous certification standards (FSC, Rainforest Alliance, etc...). Locally Made, USA Made, Handmade Artisan Paper from Recycled and Reused cotton, bleach free with natural fiber debris. Fast Growing, FSC certified Bamboo with laser etching. Eco-Friendly Paper & Suede Mats with 100% recycled paper cores. Bamboo is a grass that grows to harvestable height in 3 to 4 years and some species can grow as mush as 2 feet per day! It has an extensive root system that continually sends up new shoots, naturally replenishing itself. It does not require replanting making it one of the world's most renewable resources. 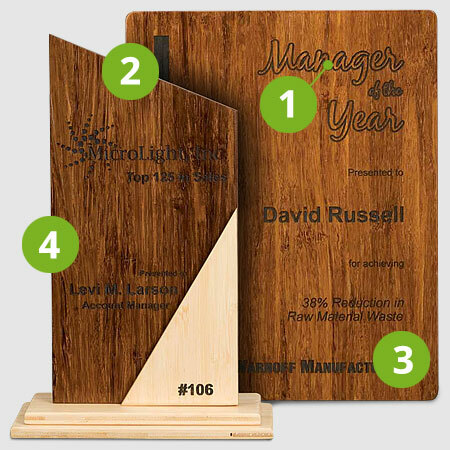 The wood plaque has been a staple of the award industry for years. Traditionally, these panels have been made from hardwoods like maple, oak, birch, and walnut, to name a few. But trees like these can take 10-30 years to reach maturity, making them renewable but not as quickly renewable. Exotic woods like teak, ebony and others are harvested from rainforests in tropical countries, and the depletion of these resources makes these wood choices less desireable. Bamboo is a great "green" resource! Bamboo is 16% harder than maple and faster growing than all traditional hardwoods, provides an eco-friendly and attractive alternative. Through a specialized heating process, the natural sugars in the wood are carmelized producing beautiful honey tones in various shades of brown and gold. Made in the USA and starch based, these materials protect your award during shipping and are easily disposable by dissolving in water. Actually, they are safe for humans and animals to ingest "accidentally." We don't recommend that you eat them, and you won't be seeing these on the Cooking Channel anytime soon, but the point is they are biodegradable and safe for the environment!